At the outset of The Particular Appeal of Gillian Pugsley, age and illness should weigh down a rather dismal future. Yet how are they overshadowed by the prospects of the past? How does love play in the development of the story so early on? A theme that runs throughout the novel is that of the weightlessness of time, “the more things change, the more they stay the same” and so on. Discuss how the role of Gillian’s granddaughter fits into this theme? Is she acentral figure to the story or just a tool, a mere device to tell her grandmother’s tale? Örnbratt writes that “It was the first time she’d really noticed how fit the doctor was or perhaps the first time she’d admitted it to herself.” Dr. Pilkington is clearly easy on the eyes, a man who sports good humour and is kind to the bone. If you were Gillian, how would the doctor have been able to steer your heart toward him and away from Christian? How does the epistolary feel of the novel connect with readers of today and how might this story change if it took place in today’s age of technology? Gillian is often described as knowing how to use choice words effectively, to the comfort of others, particularly with children. Discuss how Gillian manages this in her long-distance friendship with Shashi and how their friendship adds depth and purpose to the story. 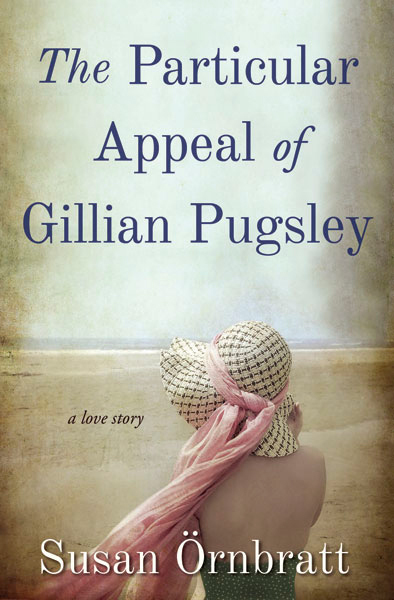 The notion of sisterhood weaves throughout the novel as seen in Gillian’s relationship with Beaty. Discuss how their correspondence, banter, intuition and sense of duty ring true of today’s woman. Although the reader learns Christian’s story and has a growing compassion for him, there is, at times, a sense of enigma about him. Why? First loves are hard to forget and Christian Hunter is no exception. Gillian struggles with it for years. “But that’s all it was – a memory. And although the wind wanted to set her straight, the seagull floating on that same breeze reminded her that something so sweet had a right to drift softly in her heart.” Is Gillian wrong in her earlier years to expect him to disappear from her heart? How do you think first loves differ from those formed in later years? Where does Angus fit into this concoction? How does humor play an important role in this story, given the unstable and volatile times?